Mynta – Surya is a mélange of two distinct musical traditions that of the East and of the West. This Swedish-Indian constellation invites an exciting musical amalgamation of the European and Indian cultures with additional influences from African music and Jazz, all of which pulsate together to bring a very unique musical note. Their music is filled with meditative drones, hypnotic clanging, humming virtuosity, playful improvisation and suggestion rhythms. Mynta, the Swedish group founded by bass guitarist Christian Paulin in ’79 has performed in many international jazz festivals. The group made its debut in India with the Indian jazz Yatra, in ’86. Intrigued by Indian Classical music, Paulin invited Surya the Indian fusion band, headed by Fazal Qureshi to record with him, in ’87. Qureshi, himself belongs to a family of illustrious musicians. While the legendary Tabla maestro Ustad Allah Rakha is his father and teacher, Ustad Zakir Hussain is his elder brother. Thus Surya originates from the virtuosos of classical indian music. This musical combination, laid the foundation of fusion music in Scandinavia. Indian Times was the first album of this harmonious blend. The two groups toured regularly for 8 years and Mynta shifted from total jazz music to fusion. Mynta – Surya performed in Dubai and Abu Dhabi. It not only won over the audience, but received rave reviews from music critics there. In the past few years, the group has been performing in some of India’s cities, including Mumbai. 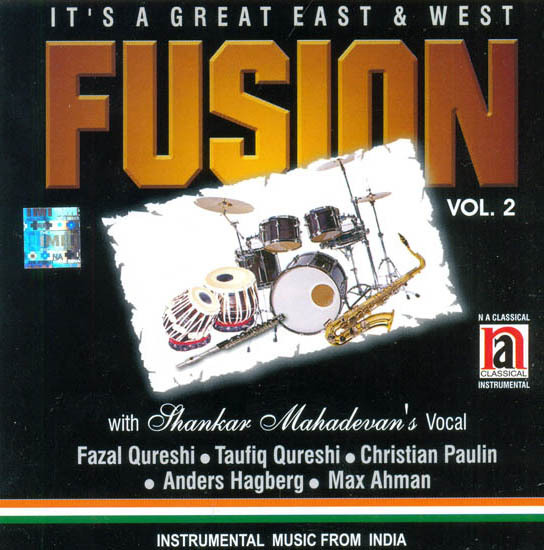 The other members of this group are Max Ahman, Andres Hagberg, Taufiq Qureshi and Shankar Mahadevan. Ahman and Hagberg have been with Mynta for 7 years. While the former is an acoustic guitarist, who plays the steel and nylon; the latter plays both the saxophone and the flute. Hagberg also specializes in improvised music and has a group of his own called the Windo. Taufiq like his elder brother Zakir and Fazal, inherited a love for music from his father Ustad Allah Rakha. Besides playing the Tabla, Taufiq specializesin other western percussions. The last out first member of this musical group is Shankar Mahadevan a pop, Carnatic as well as North Indian Classical vocalist of immense talent. The artistes while playing display a fine sense of orchestration, bringing the best of the two distinct cultures in a stunning array of syncopation. In their union lies a sheer touch of lucidity, chastity and rhythms, which with the magical touch of harmony create musical fusion.